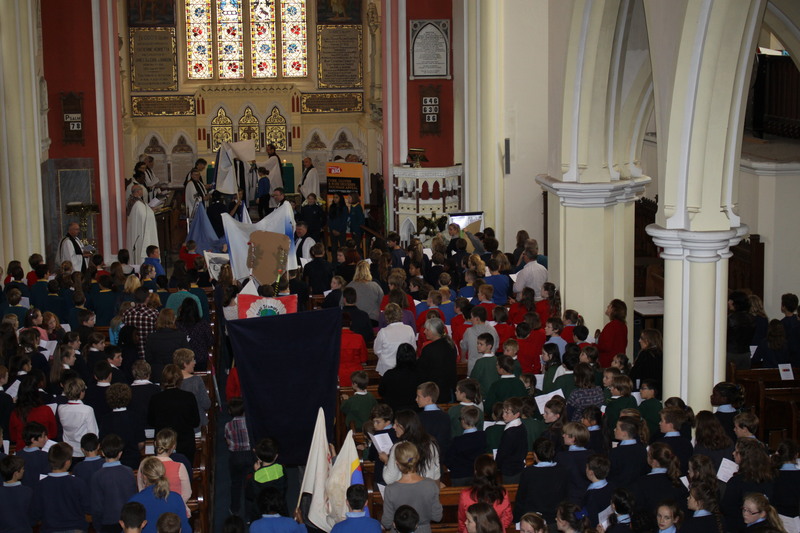 Nearly 400 children and teachers attended the annual Diocesan Service for Primary Schools in Cork, Cloyne and Ross which was held in Saint Peter’s Church, Bandon on Tuesday, 30th September. 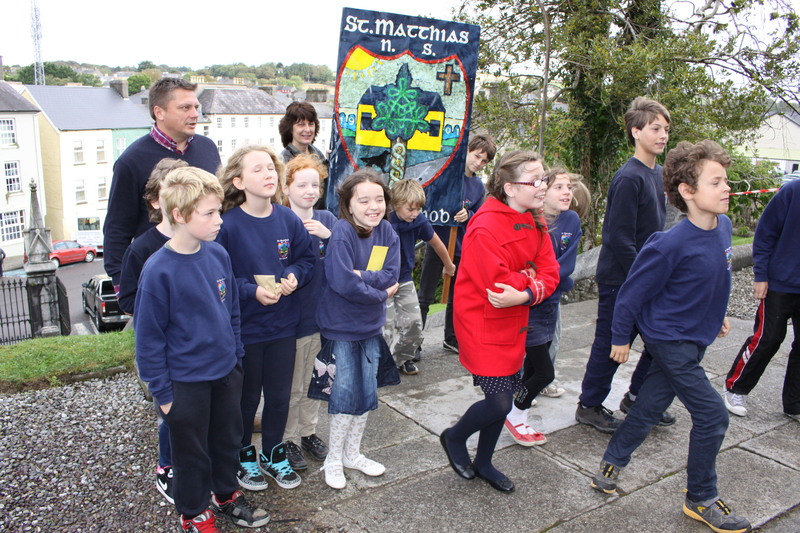 Strong singing, readings, the ringing of each schools’ bell, and the parading of custom made school banners were the order of the day. 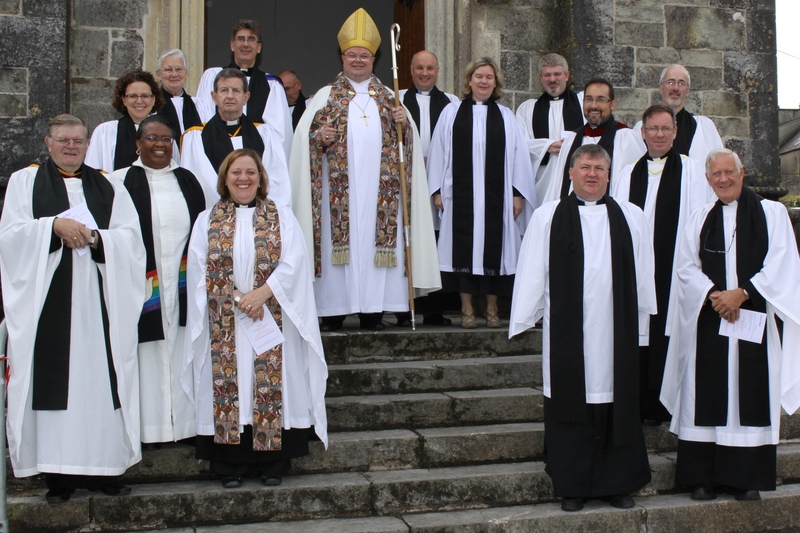 ‘Looking for God’s Beauty in All Things’ was the theme chosen by this year’s preacher, the Reverend Steve McCann, rector of Ballydehob, Co Cork. 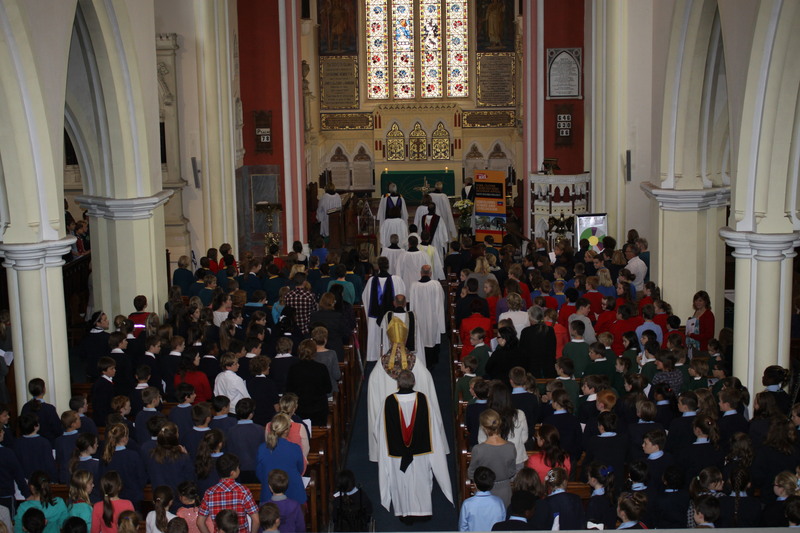 Bishop Paul Colton, patron of all but one of the schools in the Diocese, presided and led the children in the shout of praise! 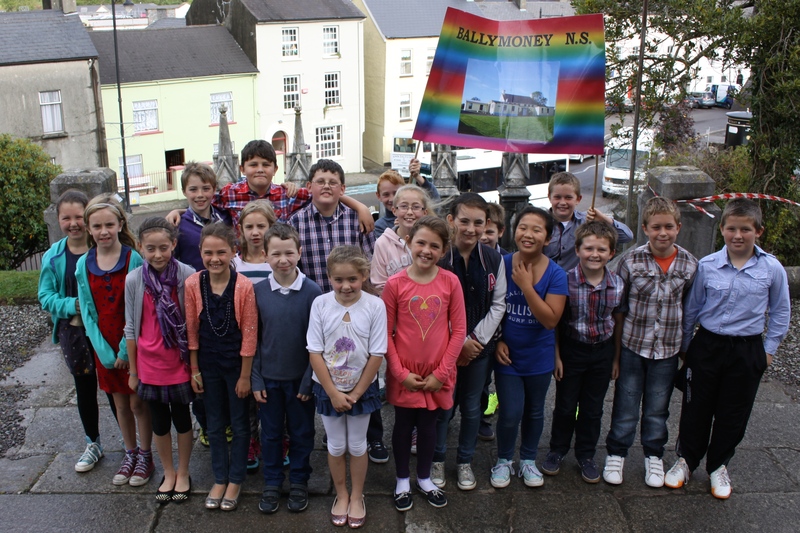 The children also collected €1,500 for the Diocesan Project – houses for Haiti – in partnership with Bishops’ Appeal and Christian Aid. The School banners are paraded in. 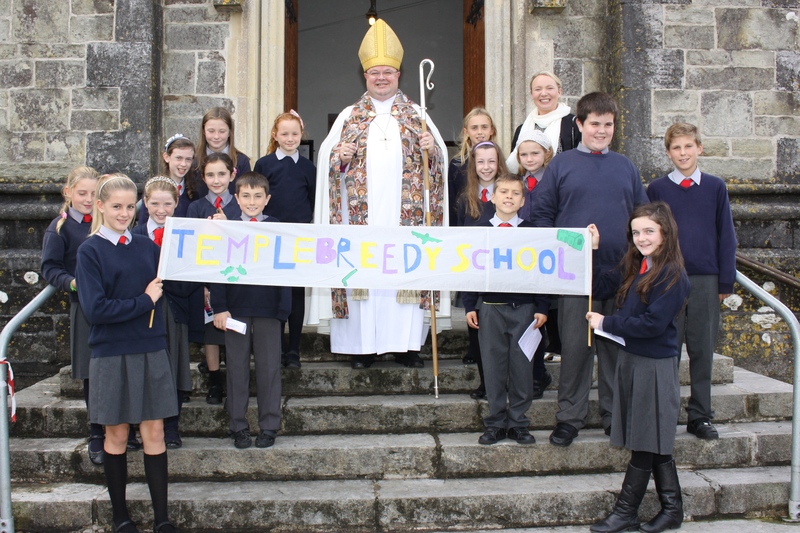 The group from Templebreedy National School with the Bishop. 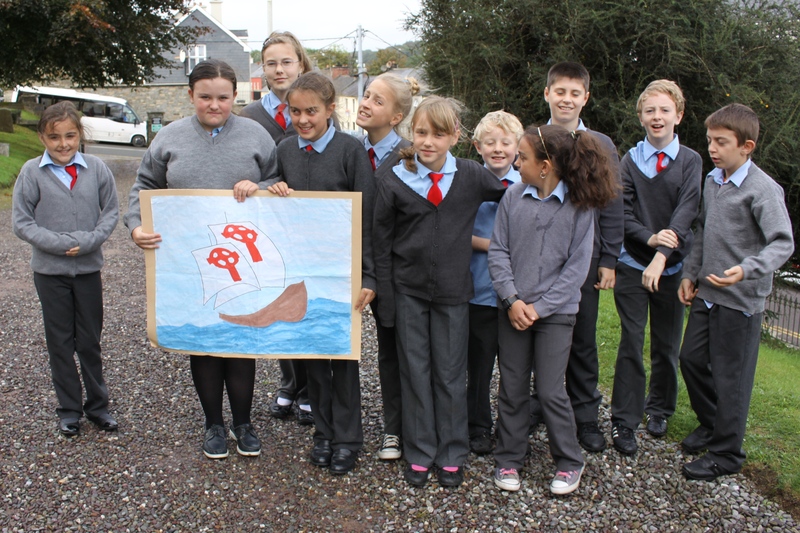 On the way to the Diocesan Service for Primary Schools – a group from St Multose National School, Kinsale. 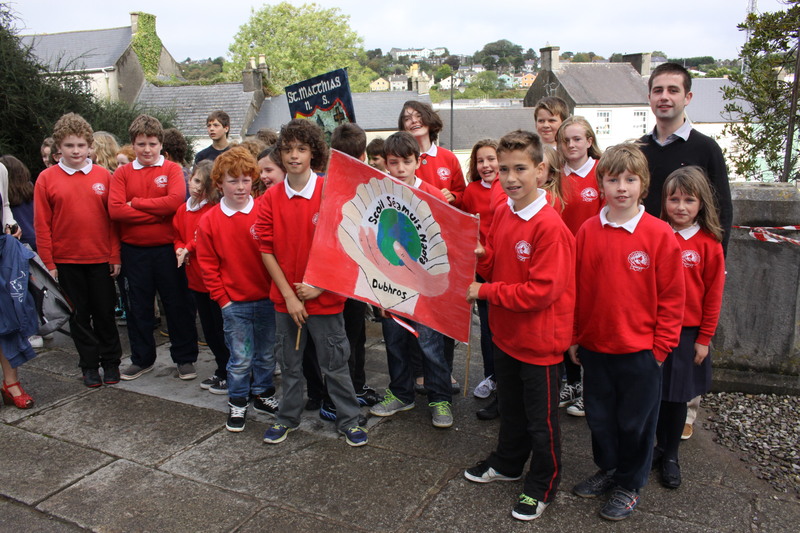 St James’ National School, Durrus, County Cork. 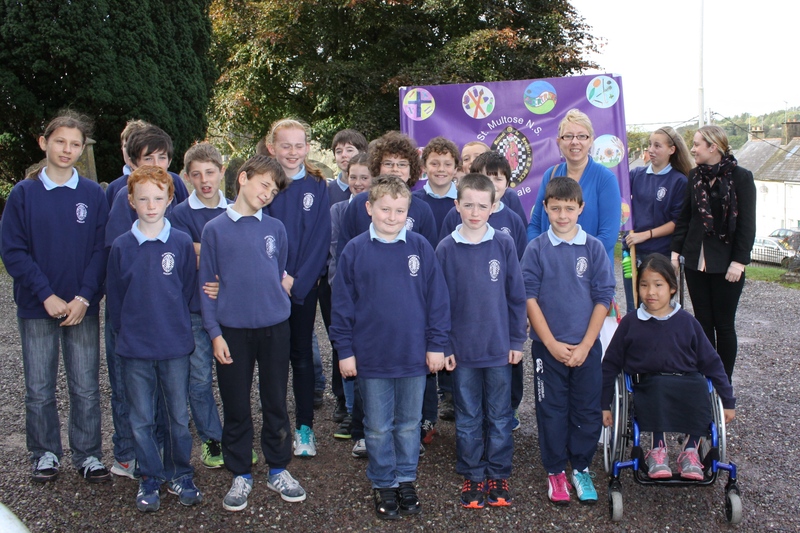 The group from St Matthias’ National School, Ballydehob, on the way into the Diocesan Service for Primary Schools. 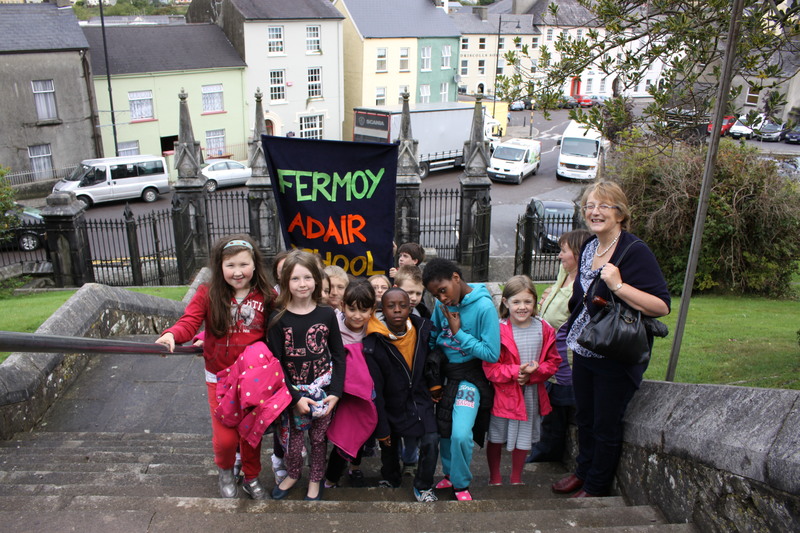 Fermoy (Adair) National School arrived for the Service. This entry was posted in Children's Ministry, Children's Work, Church Services, Diocese, Education. Bookmark the permalink.